Starz will be brigning the hotly anticipated Original series “'Ash vs Evil Dead' to New York Comic-Con 2015. Are you stoked? Well then keep reading on how to check out the panel and more! The classic flick turned series will be premiering Saturday, October 31st at 9 PM ET/PT will host a panel in Hammerstein Ballroom as well as autograph signings. 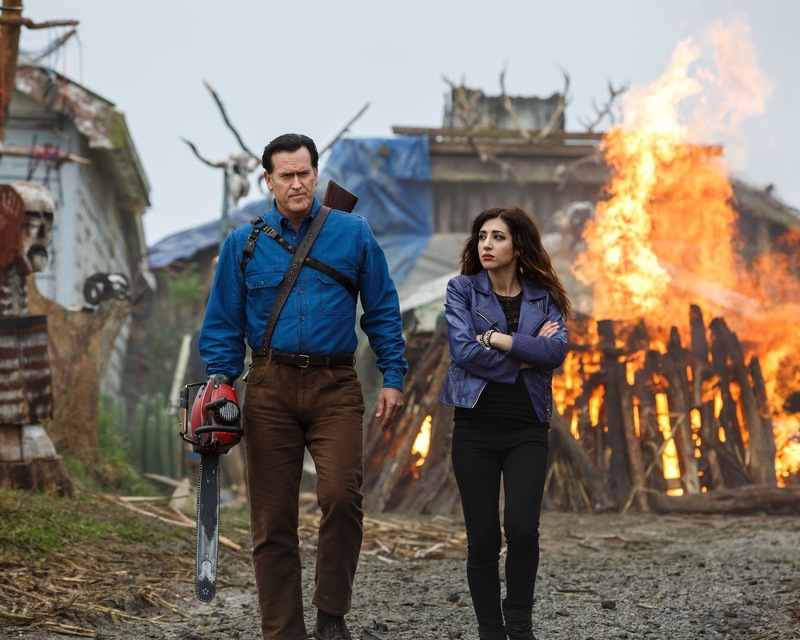 The panel will include Executive Producers and original filmmakers Sam Raimi, Bruce Campbell, showrunner Craig DiGregorio, plus cast members in addition to Campbell including Lucy Lawless,Ray Santiago, and Dana DeLorenzo. Located at the Inner Roadway, a killer Ash vs Evil Dead experience will be waiting. The activation will include Ash’s trailer, his bloody chainsaw, and prizes for the bravest souls. There will be a raffle for 100 attendees to win autograph signing passes. Attendees can stop by the trailer on Thursday and Friday for their chance to win. Sam Raimi, Bruce Campbell, Craig DiGregorio, Lucy Lawless, Ray Santiago and Dana DeLorenzo will be on the panel. For more news and previews and more follow me @PopJunkieGirl and on Facebook. Tell a friend..or two!